We are now taking a look at the Gold Glove Award, given annually to the best defensive player in MLB in each respective position. We have finished our run around the bases and checked out the Outfield, which leaves the least interesting position left in regards to the Gold Glove, the Pitcher. With this position there are less tangible statistics to look at and more what they do in terms of what they do to backup their teammates or holding runners. Apologies ahead of time if there are limited commentary! Actually it will be quite limited! The following are the past players who have won the Gold Glove at Pitcher who are eligible for the Baseball Hall of Fame and have been enshrined. 0.0 dWAR Bob Gibson was coming off his first World Series win and in 1965 he went to his second All Star Game. Gibson was third in Putouts with a .952 Fielding Percentage with only a 20% Caught Stealing Percentage. This wasn’t terrible but fine for a Gold Glove, especially when he was as dominating as Gibson was with his arm. Inducted into the Hall of Fame in 1981. 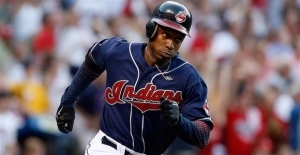 0.0 dWAR Now a three time All Star, Gibson’s percentages increased to a 50% Caught Stealing and a .964 Fielding Percentage. This would be the first and only time where he would finish first in Putouts among National League Pitchers. Inducted into the Hall of Fame in 1981. 0.0 dWAR This season, Bob Gibson would again go to the All Star Game while finishing fourth in Putouts with a perfect Fielding Percentage and a 67% Caught Stealing Percentage. This seems like a Gold Glove win to us! Inducted into the Hall of Fame in 1981. 0.1 dWAR Bob Gibson would win the National League MVP and Cy Young and netted his first and surprisingly only Pickoff of his career. He would have a more than respectable .980 Fielding Percentage and 45% Caught Stealing Percentage. Inducted into the Hall of Fame in 1981. 0.0 dWAR Gibson was third in Putouts with a somewhat average .946 Fielding Percentage and 33% Caught Stealing Percentage. This is not exactly screaming Gold Glove. Inducted into the Hall of Fame in 1981. 0.0 dWAR From the limited metrics we have, Bob Gibson was not exactly Gold Glove worthy as he had only a .931 Fielding Percentage and 23% Caught Stealing Percentage but he would win his second Cy Young this year, and honestly this didn’t hurt. Inducted into the Hall of Fame in 1981. 0.0 dWAR Again from what limited data we have Bob Gibson’s eighth Gold Glove win only saw him accrue a .942 Fielding Percentage and 23% Caught Stealing Percentage. We aren’t seeing defensive greatness here. Inducted into the Hall of Fame in 1981. 0.0 dWAR This would be the final All Star Game appearance for Bob Gibson and in terms of Fielding Percentage he had a decent .983. Still, with the data we have this is not spectacular. Inducted into the Hall of Fame in 1981. 0.0 dWAR 1973 would be the ninth and final Gold Glove win for Bob Gibson and again we don’t see anything notable with his .946 Fielding Percentage and 40% Caught Stealing Percentage. Again, he was not in the top five in Putouts and he was never in the top five in Range Factor per Game. What we can say is that overall he had a 31% Caught Stealing Percentage, which was lower than the league average of 37%. Is nine Gold Gloves correct here? Probably not. Inducted into the Hall of Fame in 1981. 0.0 dWAR 1976 would see Jim Palmer win his third and final Cy Young and he was already at this point was already a two time World Series Champion. Palmer was fourth in Range Factor per Game in the AL and for the third and final time he would finish first in Putouts. He would have a solid .987 Fielding Percentage and had three Pickoffs. Inducted into the Hall of Fame in 1990. 0.0 dWAR Palmer was the American League Cy Young runner-up in 1977 and in regards to his defensive prowess he had a decent .971 Fielding Percentage and a 67% Caught Stealing Percentage. Inducted into the Hall of Fame in 1990. 0.0 dWAR Jim Palmer would finish third in Putouts and fifth in Range Factor per Game and he would also finish third in Cy Young Voting. He had a solid .972 Fielding Percentage with a 49% Caught Stealing Percentage. Inducted into the Hall of Fame in 1990. 0.0 dWAR Phil Niekro by this time had already led the National League Pitchers in Fielding Percentage three times yet in this year he was fourth in Range Factor per Game and second in Assists. 1978 would see him with a .978 Fielding Percentage but only had a 26% stat in Caught Stealing Percentage. He would also have four Pickoffs. Inducted into the Hall of Fame in 1997. 0.0 dWAR This would be the fourth and final Gold Glove for Jim Palmer who would eventually enter the Baseball Hall of Fame on his first try. It should be mentioned that he would have a perfect 1.000% Fielding Percentage here, but his overall body of work does not showcase a four time Gold Glove recipient. Inducted into the Hall of Fame in 1990. 0.0 dWAR Niekro turned 40 this year but was still a very good Pitcher who for the second year in a row would finish sixth in Cy Young voting. Defensively he would have a .989 Fielding Percentage with a very low 22% Caught Stealing Percentage, although he was second in Range Factor per Game among all of the National League Pitchers, which would be the last time that Niekro would be in the top five. Inducted into the Hall of Fame in 1997. 0.0 dWAR Niekro had a .983 Fielding Percentage, which was good enough for fourth overall. He also had a Caught Stealing Percentage of 43 with two Pickoffs. Inducted into the Hall of Fame in 1997. 0.0 dWAR Steve Carlton won his only Gold Glove in a season that was sandwiched between his third and fourth Cy Young Award, but a deeper look shows that Carlton possibly should have won more than just one. Carlton had five Pickoffs that year and he would have 146 in total, by far and wide the most of all-time. Carlton had five full seasons where he had a perfect Fielding Percentage and 1981 was one of those seasons. He had a 60% Caught Stealing Percentage and had a career 42% against the league average of 34%. Carlton should have won many more. Inducted into the Hall of Fame in 1994. 0.0 dWAR Phil Niekro would finish fifth in Cy Young voting, an amazing feat for a 43 year old. Defensively he had three Pickoffs with a 48% Caught Stealing Percentage and a .982 Fielding Percentage. Inducted into the Hall of Fame in 1997. 0.0 dWAR This would be the final Gold Glove for Niekro and it would see him with a .955 Fielding Percentage but only 29 in Caught Stealing Percentage. Amazingly, this would not be the last individual accolade for Phil Niekro as he was a New York Yankee the following season and was named to the American League All Star Team. Overall, Niekro had 51 Pickoffs in his career. Inducted into the Hall of Fame in 1997. 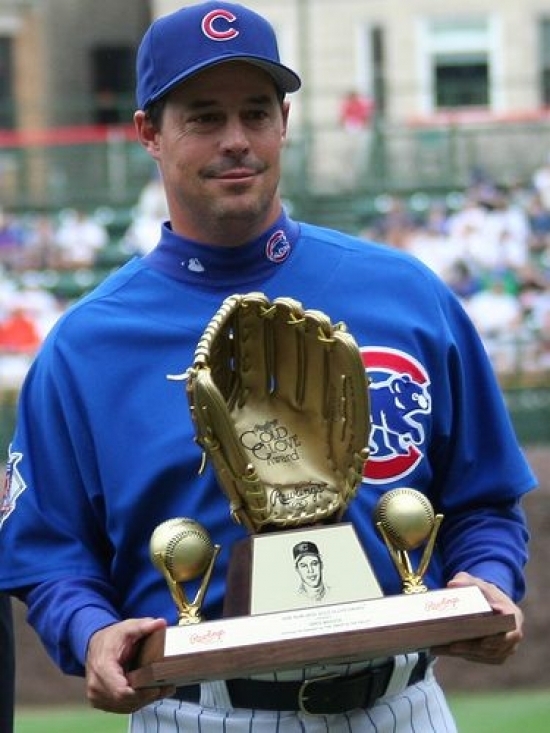 0.0 dWAR Greg Maddux was a first ballot Hall of Fame inductee and is regarded as the finest defensive Pitcher of all time as evident by his record 18 Gold Gloves. Again, let’s say that again...18! However, this is the Gold Glove after all and we know that there are many suspect wins, however with Maddux this looks pretty solid. In what was his first win, he finished first in Putouts, Assists, Range Factor per Game and Fielding Percentage. Other than a 24% in Caught Stealing Percentage, this was a near perfect start to a defensive dynasty! Inducted into the Hall of Fame in 2014. 0.0 dWAR 1991 would see the then Chicago Cub finish first in Putouts and Range Factor while landing second in Assists. Maddux had a decent Fielding Percentage of .978 with a low 22 in Caught Stealing Percentage but did have 5 Pickoffs. Inducted into the Hall of Fame in 2014. 0.0 dWAR The dominance on the mound for Greg Maddux begun here as he would win his first of four straight Cy Young Awards. Maddux was first in Assists, Putouts and Range Factor per Game with a .969 Fielding Percentage and 33 in Caught Stealing Percentage. Inducted into the Hall of Fame in 2014. 0.0 dWAR Now an Atlanta Brave after signing a Free Agent deal, Maddux would have a low .933 Fielding Percentage with 18% on Caught Stealing but he was again first in Assists, Putouts and Range Factor per Game. Inducted into the Hall of Fame in 2014. 0.0 dWAR This season, Greg Maddux was fifth in Putouts, second in Assists and again was the National League leader in Range Factor per Game. Maddux would have a .935 Fielding Percentage and 21 in Caught Stealing Percentage. Inducted into the Hall of Fame in 2014. 0.0 dWAR Greg Maddux would win his fourth straight and final Cy Young in 1995 and more importantly would win the World Series. Defensively, he had a low 19 in terms of Caught Stealing Percentage but he had a perfect Fielding Percentage and was also first in Assists and Range Factor per Game while finishing third in Putouts. Inducted into the Hall of Fame in 2014. 0.0 dWAR With his seventh straight Gold Glove win, Greg Maddux again finished first in Range Factor per Game for the eighth consecutive season and he was again first in Assists and Putouts. He had a strong .991 Fielding Percentage with a weak Caught Stealing Percentage of 19%. Inducted into the Hall of Fame in 2014. 0.0 dWAR For the first time there are some serious holes in a Gold Glove win for Greg Maddux. The Cy Young Award runner-up had a .956 Fielding Percentage but his streak of Range Factor per Game wins ended with a fifth place finish. He was also not in the top five in Assists and Putouts, the first time since 1987. Inducted into the Hall of Fame in 2014. 0.0 dWAR Maddux returned to his defensive dominance with a first place finish in Putouts, Assists and Range Factor per Game and he had a .959 Fielding Percentage. He still had a bad Caught Stealing metric with only 28%. Inducted into the Hall of Fame in 2014. 0.0 dWAR Greg Maddux did it again as he finished atop the leaderboard in Range Factor per Game and was second in Assists and Putouts. He would have a Fielding Percentage of .956 and had a Caught Stealing Percentage of 32%. Inducted into the Hall of Fame in 2014. 0.0 dWAR Maddux finished third in Cy Young voting, which would be the last time that he would receive votes for this accolade. He would have a .979 Fielding Percentage with 18% in Caught Stealing and was first in Assists, Range Factor per Game and was fourth in Putouts. Inducted into the Hall of Fame in 2014. 0.0 dWAR Once again, Greg Maddux would finish first in Range Factor per Game and Assists and was third in Putouts. His Fielding and Caught Stealing Percentage was .986 and 37 respectively. Inducted into the Hall of Fame in 2014. 0.0 dWAR Maddux did not finish first in Range Factor per Game this season but he was still very good with a third place finish and a fourth place rank in Assists. He would have a .986 Fielding Percentage and again a below league average of 14% in Caught Stealing. Notably, this was his last season with the Atlanta Braves. Inducted into the Hall of Fame in 2014. 0.0 dWAR Maddux would finish second in Range Factor per Game and Assists and for the last time in his career was first in Putouts. The legend would have a .987 Fielding Percentage with a Caught Stealing Percentage of 32. He may have missed out on the 2003 Gold Glove after winning 13 straight, but here he is starting a new one. Inducted into the Hall of Fame in 2014. 0.0 dWAR In what would be his final full season with the Chicago Cubs he was second in Assists and third in Range Factor per Game. His Fielding and Caught Stealing Percentage was .958 and 20 respectively. Inducted into the Hall of Fame in 2014. 0.0 dWAR Maddux turned 40 this year and he split his season between the Cubs and Dodgers. Despite his older age, he was still a good defensive contributor and for the third time he would have a perfect Fielding Percentage (although it was again a low Caught Stealing Percentage with only 19). He was third in Range Factor per Game and was the leader in Putouts. Inducted into the Hall of Fame in 2014. 0.0 dWAR First the bad. We have been ragging on Maddux’s inability to assist his Catchers in stopping baserunners and this was his worst season yet with a paltry 5% in that statistic. Still, we don’t have any problem with this, as his fielding was again great as he finished first in Range Factor per Game and Assists. He had a Fielding Percentage of .986. Inducted into the Hall of Fame in 2014. 0.0 dWAR As we have done this process, we have encountered many Hall of Fame players who won Gold Gloves late in their career who had no business winning that final award, or in some cases final ones. For Greg Maddux, who again we need to say “18 time Gold Glove winner Greg Maddux” was one of the most deserving multi-time winners ever. In his last win, Maddux had a .961 Fielding Percentage with a first place finish in both Range Factor per Game and Putouts. A nice finish for a defensive superstar. Inducted into the Hall of Fame in 2014. 0.0 dWAR. In 1952, Bobby Schantz had the season of his life winning 24 Games and leading the American League in WHIP and SO/BB and the then Philadelphia Athletic would win the American League MVP Award. He would never have a season like that again, but he had a long career and the converted Third Baseman was known throughout baseball for his defensive skill, so naturally he won the first Gold Glove awarded to a Pitcher. Schantz was second in Range Factor per Game and he would go to his third and final All Star Game this year. He also would have three Pickoffs this year, a career high. Schantz was on the ballot for five years and finished as high as 2.3% in both 1970 and 1972. 0.0 dWAR. Schantz again made history as the first player to win the Gold Glove at Pitcher in the American League, however he only played 126 Innings this year. This trend will continue as Schantz would continue to collect Gold Gloves. Schantz was on the ballot for five years and finished as high as 2.3% in both 1970 and 1972. 0.0 dWAR. Harvey Haddix in terms of the defensive stats showed him to be average but he was already at this point in his career a three time All Star. Haddix was on the ballot for ten years and finished as high as 3.8% in both 1985. 0.0 dWAR. By this stage of his career, Schantz was now coming out of the bullpen and he threw for 94.2 Innings. Schantz was on the ballot for five years and finished as high as 2.3% in both 1970 and 1972. 0.0 dWAR. Haddix had a perfect Fielding Percentage, but 1959 for Harvey Haddix was all about the 12 perfect innings he threw in a game, and lost in the 13th. Nobody will ever do that again. Haddix was on the ballot for ten years and finished as high as 3.8% in both 1985. 0.0 dWAR. Schantz would not start a game this year and he was now reduced to 67.2 Innings. While he may have been still solid with the glove, when you are playing a third of what other Pitchers are could there be a hole in this voting? There will be more of this to come. Schantz was on the ballot for five years and finished as high as 2.3% in both 1970 and 1972. 0.0 dWAR. This was the third and final Gold Glove win of Harvey Haddix’ career where he would finish fifth among National League Pitchers in Range Factor per Game. Haddix was on the ballot for ten years and finished as high as 3.8% in both 1985. 0.0 dWAR. This was unquestionably the greatest season of Frank Lary’s career where he was an All Star and a third place finisher in Cy Young voting. Defensively he was first in Putouts and Range Factor per Game by a Pitcher and he had 2 Pickoffs with a 64% Caught Stealing Percentage. Although Lary was Hall of Fame eligible in 1971 he was not on the ballot. 0.0 dWAR. This would be the first Gold Glove win for Schantz in the National League in what would be his only season in Western Pennsylvania. Schantz threw for 89.1 Innings this year. Schantz was on the ballot for five years and finished as high as 2.3% in both 1970 and 1972. -0.1 dWAR. Jim Kaat is regarded as one of the greatest defensive Pitchers ever and he certainly has a mantle of Gold Glove trophies to back it up. Kaat would have a good 75% Caught Stealing Percentage and had 1 Pickoff. 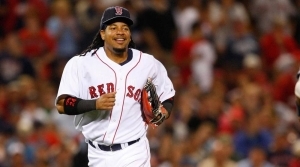 He finished first among American League Pitchers in Assists and Range Factor Per Game. Kaat was on the ballot for 15 years finishing as high as 29.6% in 1993. He is ranked #29 on Notinhalloffame.com. 0.0 dWAR. Splitting his season between Houston and St. Louis, Schantz won his sixth straight Gold Glove and again did so in under 100 Innings. Schantz was on the ballot for five years and finished as high as 2.3% in both 1970 and 1972. 0.0 dWAR. Kaat was second in the American League in Range Factor per Game and he recorded two Pickoffs. Nothing special on the surface here. Kaat was on the ballot for 15 years finishing as high as 29.6% in 1993. He is ranked #29 on Notinhalloffame.com. 0.0 dWAR. Again from the pen, Schantz won his seventh straight Gold Glove while pitching 79.1 Innings. Schantz was on the ballot for five years and finished as high as 2.3% in both 1970 and 1972. -0.1 dWAR. Kaat had one pickoff but only a .928 Fielding Percentage and a pedestrian 38% Caught Stealing Percentage. He was third in Assists and fourth in Range Factor per Game. Kaat was on the ballot for 15 years finishing as high as 29.6% in 1993. He is ranked #29 on Notinhalloffame.com. 0.0 dWAR. In what would be his final Gold Glove win, Bobby Schantz spread 60.2 Innings between the Cardinals and Chicago Cubs. Should Schantz have won eight Gold Gloves? Probably not, as we will employ a reliever bias (or rather Innings bias) but there was no mistake to be made that by all accounts of his peers that he was very good with his glove. Schantz was on the ballot for five years and finished as high as 2.3% in both 1970 and 1972. 0.0 dWAR. While we have stated that the defensive skills of a Pitcher are harder to substantiate, we have going forward some statistical issues that should question whether or not he should have won so many Gold Gloves. This season would be the last in which Kaat would finish in the top five in Assists (third) and Range Factor per Game (fourth). He also finished first in Errors, picked off nobody, had only 27% in Caught Stealing Percentage and had a .929 Fielding Percentage. There will be a lot of living off reputation (or just using the same ballot as the year before) with Kaat as we continue…which will be a lot. Kaat was on the ballot for 15 years finishing as high as 29.6% in 1993. He is ranked #29 on Notinhalloffame.com. -0.1 dWAR. This was Kaat’s best year as a Pitcher winning 25 Games and going to his second All Star Game. Defensively, he had three Pickoffs with a .958 Fielding Percentage. Kaat was on the ballot for 15 years finishing as high as 29.6% in 1993. He is ranked #29 on Notinhalloffame.com. -0.1 dWAR. Kaat had no Pickoffs, a 30% Caught Stealing Percentage and a .952 Fielding Percentage. This certainly wasn’t spectacular. Kaat was on the ballot for 15 years finishing as high as 29.6% in 1993. He is ranked #29 on Notinhalloffame.com. 0.0 dWAR. Kaat did have a better Fielding Percentage than the year before with a .976 and he did have a much better Caught Stealing Percentage of 67% but there was only six attempts. Again, there was nothing spectacular in term of his numbers. Kaat was on the ballot for 15 years finishing as high as 29.6% in 1993. He is ranked #29 on Notinhalloffame.com. 0.0 dWAR. Jim Kaat’s Fielding Percentage plummeted to .826 and he had an American League leading 8 Errors for a Pitcher. He also had a 15% Caught Stealing Percentage with zero Pickoffs. There just doesn’t seem to be any statistical justification for this Gold Glove win, so what are we missing here? Kaat was on the ballot for 15 years finishing as high as 29.6% in 1993. He is ranked #29 on Notinhalloffame.com. 0.0 dWAR. Kaat would again have a low Fielding Percentage (.935) and Caught Stealing Percentage (20) there is not a lot here. Kaat was on the ballot for 15 years finishing as high as 29.6% in 1993. He is ranked #29 on Notinhalloffame.com. 0.0 dWAR. Kaat recorded a pair of Pickoffs this season with an improved Fielding Percentage of .982 but he did have a Caught Stealing Percentage of 20%. Kaat was on the ballot for 15 years finishing as high as 29.6% in 1993. He is ranked #29 on Notinhalloffame.com. 0.0 dWAR. Again we don’t see anything special here. He did have a Fielding Percentage of .923 and tied his career high of three Pickoffs but again he had a below league average Caught Stealing Percentage of 33%. Keep in mind that we haven’t in a while talked about his position in awhile in terms of Range Factor per Game because he was not in the top five. He won’t be again when we are done talking about him either. Kaat was on the ballot for 15 years finishing as high as 29.6% in 1993. He is ranked #29 on Notinhalloffame.com. 0.0 dWAR. Kaat was traded to the Chicago White Sox midway through the season and while he had a .973 Fielding Percentage with a 20% Caught Stealing Percentage with no Pickoffs. Kaat was on the ballot for 15 years finishing as high as 29.6% in 1993. He is ranked #29 on Notinhalloffame.com. 0.0 dWAR. While it seems like we have been picking on the Gold Glove wins, there are some positives in this win. He tied his season high in Pickoffs (3) with a 69% Caught Stealing Percentage. Kaat was on the ballot for 15 years finishing as high as 29.6% in 1993. 0.0 dWAR. Kaat had a great season where he went to his third All Star Game and finished fourth in Cy Young voting and defensively he had two Pickoffs with a 75% Caught Stealing Percentage and .982 Fielding Percentage. Kaat was on the ballot for 15 years finishing as high as 29.6% in 1993. He is ranked #29 on Notinhalloffame.com. 0.0 dWAR. While Jim Kaat was now in the National League his streak of consecutive Gold Gloves continued, though again there was not a lot to point at statistically to justify this win. He had no Pickoffs with a 33% Caught Stealing Percentage and a .949 Fielding Percentage. Kaat was on the ballot for 15 years finishing as high as 29.6% in 1993. He is ranked #29 on Notinhalloffame.com. 0.0 dWAR. We end our look at Jim Kaat who would win his sixteenth straight and final Gold Glove. We have certainly questioned many of those wins and this one is no different as his Fielding Percentage dipped back below .900 with .897%. A quick look overall sees that Kaat’s overall Range Factor per Game is not in the top 100 overall and over his career he had a below league average Caught Stealing Percentage of 34% compared to the rest of the league of 37%. He also had a career Defensive bWAR of -0.4. Honestly, does this seem like a 16 time Gold Glove winner to you? Kaat was on the ballot for 15 years finishing as high as 29.6% in 1993. He is ranked #29 on Notinhalloffame.com. 0.0 dWAR. Mike Norris was the runner-up for the Cy Young this season having by far his best season in the Majors with 22 Wins, leading the AL in H/9 and he was second in ERA. Defensively, he was good too as he led all of the American League Pitchers in Range Factor per Game and he was second in Assists and third in Putouts. Although Norris was Hall of Fame eligible in 1996 he was not on the ballot. 0.0 dWAR. Mike Norris parlayed the success from the previous year to an All Star appearance, though his second Gold Glove was hard to find merit in. He was not in the top five in Range Factor per Game, Assists or Putouts and his decent .976 Fielding Percentage was offset by his 27 in Caught Stealing Percentage. They probably should have done better this year. Although Norris was Hall of Fame eligible in 1996 he was not on the ballot. 0.0 dWAR. Oh Boy. This will be a bit of a mess in our eyes as Ron Guidry would go on a streak here that may be a little hard to justify, although we do our best. In 1982, Ron Guidry was already a Cy Young winner (1978) and in 1982 he would have his second perfect Fielding Percentage. He also had a 40% metric in Caught Stealing Percentage. Guidry was on the ballot for nine years and finished as high as 8.8% in 2000. Guidry is ranked #60 on Notinhalloffame.com. 0.0 dWAR. Finishing fifth in Cy Young voting this year, Guidry would have his third straight season where he had a perfect Fielding Percentage, although notably he was never in the top five in Range Factor per Game in ANY of his five Gold Glove wins. In this season, he would have a 34 in Caught Stealing Percentage. Guidry was on the ballot for nine years and finished as high as 8.8% in 2000. Guidry is ranked #60 on Notinhalloffame.com. 0.0 dWAR. This was the fourth straight and final time that “Louisiana Lightning” Ron Guidry would go perfect in Fielding Percentage. He would go 45% in Caught Stealing. Guidry was on the ballot for nine years and finished as high as 8.8% in 2000. Guidry is ranked #60 on Notinhalloffame.com. 0.0 dWAR. This was arguably the best season of Joaquin Andujar’s career as he was a 20 Game Winner and he finished fourth in Cy Young Award voting. Andujar would finish first in Assists, third in Range Factor per Game and had 5 Pickoffs with a .954 Fielding Percentage. 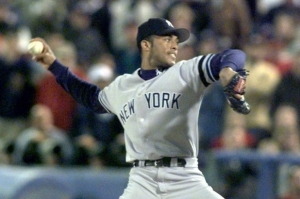 Although Andujar was eligible for the Hall of Fame in 1994 he was not on the ballot. 0.0 dWAR. The streak of perfect Fielding Percentage was over and Ron Guidry would finish with a .976. This season he was second in Cy Young voting and arguably this was his last really good season as a Pitcher. Again, he was not in the top five in Assists, Putouts and Range Factor per Game. Guidry was on the ballot for nine years and finished as high as 8.8% in 2000. Guidry is ranked #60 on Notinhalloffame.com. 0.0 dWAR. Also the winner of the Hutch Award, Rick Reuschel was first in Range Factor per Game with a perfect Fielding Percentage. He was also second in Putouts and had a Caught Stealing Percentage of 47. Reuschel was on the ballot for one year in 1997 and received 0.4% of the vote. He is ranked #96 on Notinhalloffame.com. 0.0 dWAR. Like many of the Gold Glove wins by Ron Guidry, his fifth and final one probably should not have happened. Guidry (as you would expect from the previous wins) was not a top five finisher in Range Factor per Game, Assists and Putouts and his .968 and 28 in Fielding and Caught Stealing Percentage do not echo what a Gold Glove winner should have. Guidry was on the ballot for nine years and finished as high as 8.8% in 2000. Guidry is ranked #60 on Notinhalloffame.com. 0.0 dWAR. Fernando Valenzuela was an above average defensive hurler and in 1986 he was the Cy Young runner-up while leading the NL in Wins. The popular Mexican led the league in Range Factor per Game, the third and final time that he did so and he was also the leader in Assists, which was the second time he did that. He was also second in Putouts and had a .987 Fielding Percentage with an above average 42 in Caught Stealing Percentage. Overall, it was good that Valenzuela won at least one Gold Glove and he probably should have won more. Valenzuela was on the ballot for two years and finished as high as 6.2% in 2004. 0.0 dWAR. Mark Langston was fifth in American League Cy Young voting but defensively he was not in the top five in Assists, Putouts or Range Factor per Game. His Fielding Percentage was a decent .961 and his Caught Stealing Percentage was 30, which was essentially the American League average. Langston was on the ballot for one year in 2005 but did not receive any votes. 0.0 dWAR. Reuschel was named an All Star this year and he finished third in Cy Young Voting. Defensively, he was not in the top five in Range Factor per Game, but he was second in Putouts and had an excellent 67 in Caught Stealing Percentage. This would be the last Gold Glove for Reuschel who over his career was solid. Four times he would have a perfect Fielding Percentage and he would finish first in Range Factor per Game three times and was second twice. Reuschel was on the ballot for one year in 1997 and received 0.4% of the vote. He is ranked #96 on Notinhalloffame.com. 0.0 dWAR. This was a dream season for Hershiser would win the Cy Young, the World Series and the World Series and NLCS MVP in 1988 and defensively he had a case here for what would be his only Gold Glove. While Hershiser led all National League Pitchers in Errors but he did finish first in Putouts, Assists and Range Factor per Game and had 5 Pickoffs. Hershiser was on the ballot for two year and finished as high as 11.2% in 2006. Hershiser is ranked #75 on Notinhalloffame.com. 0.0 dWAR. Bret Saberhagen had an incredible pitching performance in 1989 where he would win his second Cy Young Award with an eighth place finish in American League MVP voting. That success apparently parlayed into a great defensive season but did he really have one? The Kansas City Royal would have 3 Pickoffs and a high 64% in regards to his Caught Stealing Percentage, however he was not in the top five in Assists, Putouts and Range Factor per Game. For that matter, he only ever had a top five finish once in Assists (3rd in 1994) and Range Factor per Game (4th in 1995). He did however have a career high 4 Errors and his Fielding Percentage of .934 was not special. This was clearly the wrong choice here. Saberhagen was on the ballot for one year and finished with 1.3% in 2001. Saberhagen is ranked #69 on Notinhalloffame.com. 0.0 dWAR. This might be a little suspect as Darling was not in the top five in any significant defensive metrics and he had a pedestrian .929 and 30 Fielding Percentage and Caught Stealing Percentage respectively. Darling was on the ballot for one year and finished as high as 0.2% in 2001. 0.0 dWAR. Mike Boddicker has some seasons in the mid 1980’s where he should have won a Gold Glove or two but in 1990, while still decent was not at the level he had in previous season. In 1990 he would finish fifth in Range Factor per Game, third in Putouts and had a .966 Fielding Percentage with a Caught Stealing Percentage of 47%. At least he won one, albeit in the wrong year. Boddicker was on the ballot for one year in 1999 but did not receive any votes. 0.0 dWAR. Mark Langston was an All Star for the second time in his career. Defensively he had a .942 Fielding Percentage but a solid 60% in Caught Stealing. The California Angel was fourth in Assists. Langston was on the ballot for one year in 2005 but did not receive any votes. 0.0 dWAR. Langston regressed from the season before as he had a .941 Fielding Percentage and only a 32% in Caught Stealing. Langston was on the ballot for one year in 2005 but did not receive any votes. 0.0 dWAR. For the third and final time Mark Langston would finish first in Assists among the American League Pitchers. He would have a .966 Fielding Percentage and a 55% in Caught Stealing. Langston was on the ballot for one year in 2005 but did not receive any votes. 0.0 dWAR. Langston again was a strange winner for the American League Gold Glove for a Pitcher as not only he was not in the top five in any major defensive category for an AL Pitcher his .938 Fielding Percentage was nothing spectacular. Langston was on the ballot for one year in 2005 but did not receive any votes. 0.0 dWAR. This was the final Gold Glove for Mark Langston and realistically we have to ask how he won one, let alone seven. He would have a solid 75% Caught Stealing Percentage this year. Langston was on the ballot for one year in 2005 but did not receive any votes. 0.0 dWAR. Mike Mussina would finish sixth in Cy Young voting in what would be his first Gold Glove win Mussina would have a perfect Fielding Percentage this season, the third time he would do so. Buckle up, as we have a lot more to do with Mike Mussina to come. Mussina has been on the ballot for five years and finished as high as 63.5% in 2018. 0.0 dWAR. 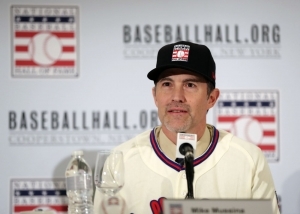 This year Mike Mussina would finish sixth in Cy Young voting and for the fourth time he had a 1.000 Fielding Percentage. Mussina also had a 40% in Caught Stealing. Mussina has been on the ballot for five years and finished as high as 63.5% in 2018. 0.0 dWAR. For the third season in a row, Mussina would have a 1,000 Fielding Percentage while finishing fifth in Range Factor per Game. Mussina has been on the ballot for five years and finished as high as 63.5% in 2018. 0.0 dWAR. An All Star for the fifth time of his career and the Cy Young Award runner-up, Mike Mussina had a good season in terms of his glove. Mussina was third in Range Factor per Game with a second place finish in Assists and he had a respectable 56% in Caught Stealing and a .984 Fielding Percentage. Mussina has been on the ballot for five years and finished as high as 63.5% in 2018. 0.0 dWAR. “The Gambler” already had a case for Gold Gloves in the past and he was certainly worthy in 2000 when he won his first of five. Rogers would pick off nine runners, matching his career high and he had a decent .970 Fielding Percentage. For the second time (the first being 1998) he finished first in Assists and Range Factor per Game and he was also fifth in Putouts. Rogers was on the ballot for one year in 2014 and he finished with 0.2% of the ballot. 0.0 dWAR. This was the first Gold Glove for Mike Mussina as a New York Yankee and he was fifth place in Cy Young voting. Mussina was not in the top five in Range Factor per Game, Assists and Putouts and he had a strong Fielding and Caught Stealing Percentage of .977% and .59% respectively. Mussina has been on the ballot for five years and finished as high as 63.5% in 2018. 0.0 dWAR. Rogers again finished first in Range Factor per Game and he was second in Putouts and fifth in Assists. He had a .954 Fielding Percentage and NOBODY stole a base on him this year. Rogers was on the ballot for one year in 2014 and he finished with 0.2% of the ballot. 0.0 dWAR. Mike Mussina would return to the top of Fielding Percentage leaderboard as for the sixth time he was perfect. He had a respectable Caught Stealing Percentage of 53% but he was not in the top five in Assists, Putouts and Range Factor per Game. Mussina has been on the ballot for five years and finished as high as 63.5% in 2018. 0.0 dWAR. Mike Hampton was the only National League Pitcher to win a Gold Glove in a nineteen year stretch who was not named Greg Maddux. Hampton, who was in his first season as an Atlanta Brave had a 67% Caught Stealing rate and a .985 Fielding Percentage and for the first and only time in his career was a first place finisher in Range Factor per Game. He was also second in Assists. Hampton was on the ballot for one year in 2000 but did not receive any votes. 0.0 dWAR. This was another good season with the glove for Kenny Rogers. He would finish fourth in both Range Factor per Game and Assists. This was a good match with his six Pickoffs, .985 Fielding Percentage and 71% Caught Stealing Percentage. Rogers was on the ballot for one year in 2014 and he finished with 0.2% of the ballot. 0.0 dWAR. For the first time, Rogers’ Catchers were unable to stop any runners from stealing bases (0 for 3) and also for the first time he recorded no Pickoffs in a Season. He did have a quality .985 Fielding Percentage and he was second in both Range Factor per Game and Assists. Rogers was on the ballot for one year in 2014 and he finished with 0.2% of the ballot. 0.0 dWAR. Now a Detroit Tiger, Kenny Rogers had a fourth place finish in Range Factor per Game with a third place rank in Assists. “The Gambler” had a low .912 Fielding Percentage but he rebounded with a rate of 86% in Caught Stealing. It is also worth noting that Rogers was 41 and he had a fifth place finish in Cy Young voting, which was by far his best performance. This would be the final Gold Glove for Kenny Rogers and he finished his career with 79 Pickoffs and runners being Caught Stealing 59% of the time. This is definitely a worthy multi-time recipient of the Gold Glove. Rogers was on the ballot for one year in 2014 and he finished with 0.2% of the ballot. 0.0 dWAR. By this point, Johan Santana had already won his two Cy Young Awards however he never once finished in the top five in Assists, Putouts or Range Factor per Game. 2007 would be the first and only time he had a perfect Fielding Percentage, which coincidently was the only time he would win the Gold Glove. He had a 45% Caught Stealing Percentage this year. Santana was on the ballot for one year in 2018 and he finished with 2.4% of the ballot. Santana is ranked #64 on Notinhalloffame.com. 0.0 dWAR. This was Mike Mussina’s final season in the Majors and he ended on a great note with a sixth place Cy Young finish. He was decent this year defensively but he may not have been the best choice. Mussina again was not in the top five in Assists, Putouts and Range Factor per Game and he had a decent Fielding Percentage of .976. Overall, Mike Mussina was decent with his glove but we have to question whether he was worthy of seven Gold Gloves. Mussina has been on the ballot for five years and finished as high as 63.5% in 2018. 0.0 dWAR Mark Buehrle went to his fourth All Star Game this year and the 2005 World Series winner would be first this season among the American League Pitchers in Range Factor per Game and Assists with a .982 Fielding Percentage. Buehrle will be eligible for the Hall of Fame in 2021. 0.0 dWAR In what would be his second Gold Glove win, Mark Buehrle would for the third time have a perfect Fielding Percentage and he was also third in Assists for an American League Pitcher. Buehrle will be eligible for the Hall of Fame in 2021. 0.0 dWAR 2010 was the best year of Bronson Arroyo’s career as he had a 12th place finish in Cy Young voting and had 17 Wins. He would have a perfect Fielding Percentage. Arroyo will be eligible for the Hall of Fame in 2023. 0.0 dWAR Mark Buehrle would for the second time in his career was the American League leader in Range Factor per Game and he was also second in Assists. Buehrle would have 6 Pickoffs with a 70% Caught Stealing Percentage with a .982 Fielding Percentage. Buehrle will be eligible for the Hall of Fame in 2021. 0.0 dWAR The National League Cy Young Award winner from 2007 would win his only Gold Glove as a member of the Chicago White Sox in the American League. Peavy would sport a .973 and 47 in Fielding and Caught Stealing Percentage but was not in the top five in Assists, Putouts or Range Factor per Game. Peavy will be eligible for the Hall of Fame in 2022. 0.0 dWAR Buehrle was only in the National League for one season but he would go “one for one” in terms of Gold Gloves. He would finish this season with a perfect Fielding Percentage and he was the league leader in Assists. Beuhrle also second in Range Factor per Game with 4 Pickoffs and a Caught Stealing Percentage of 38%. Buehrle would record an even 100 Pickoffs of his career and his Caught Stealing Percentage of 58% percent was well above the league average of 29%. Buehrle will be eligible for the Hall of Fame in 2021. 0.0 dWAR The knuckleballer was the surprise National League Cy Young Award winner the season before after seemingly coming out of nowhere. Dickey would win the Gold Glove in his first season as a Toronto Blue Jay and his resume showed him finish third in Range Factor per Game and was first in Assists. He had a .962 Fielding Percentage. Dickey will be eligible for the Hall of Fame in 2023. The following are the players who have won the Gold Glove at Pitcher who are still active. 0.0 dWAR. Wainwright would finish among all of the National League Pitchers in Putouts and Field Percentage while ranking third in Range Factor per Game. 37 Years Old, Playing for the St. Louis Cardinals. 0.0 dWAR. To say that Clayton Kershaw would become one of the most dominant Pitchers form this point on and to the rest of the decade would be an understatement. Seriously, he was just that good! In regards to his season defensively in 2011, Kershaw would win his first Cy Young and he had a perfect Fielding Percentage with a fifth place finish in Assists. 31 Years Old, Playing for the Los Angeles Dodgers. 0.0 dWAR. The co-winner of the Gold Glove, Hellickson won this Gold Glove the year after being named the Rookie of the Year. The Tampa Bay Ray had a .950 Fielding Percentage, although he would bookend those seasons with a perfect 1,000. He was not in the top five in Assists, Putouts or Range Factor per Game. 31 Years Old, Playing for the Washington Nationals. 0.0 dWAR. Wainwright was the second place finisher in the Cy Young voting while having a 50% Caught Stealing Percentage. Wainwright would have a perfect Fielding Percentage, while finishing second in Range Factor per Game and third in Putouts. 37 Years Old, Playing for the St. Louis Cardinals. 0.0 dWAR. This would be the first individual award for Kuechel and he really earned this Gold Glove. The Houston Astro was first in Range Factor per Game and Assists with a fourth place rank in Putouts. He had a .985 Fielding Percentage with only one runner successfully stealing a base on him (75% Caught Stealing Percentage rate). 30 Years Old, Playing for the Houston Astros. 0.0 dWAR. Greinke won a Cy Young Award with the Kansas City Royals in 2009, but it would not be until 2013 where he would receive votes again for that prestigious accolade. In 2014, Greinke finished with a .983 Fielding Percentage and he finished first in both Putouts and Range Factor per Game. He was seventh in Cy Young voting this year. 35 Years Old, Playing for the Arizona Diamondbacks. 0.0 dWAR. Keuchel would win the Cy Young this year and he was the fifth place finisher in MVP voting. He would finish first in both Assists and Range Factor per Game with a fourth place finish in Putouts while having a .986 Fielding Percentage. He would however fail to have ant runner not steal a base. 30 Years Old, Playing for the Houston Astros. 0.0 dWAR. Greinke was an All Star for the third time this year and he was the Cy Young Award runner-up. Greinke finished second in Range Factor per Game and was fourth in both Putouts and Assists. He would have a Fielding and Caught Stealing Percentage of .968 and 46 respectively. 35 Years Old, Playing for the Arizona Diamondbacks. 0.0 dWAR. For the second time, Dallas Kuechel had a perfect Fielding Percentage and he would have a 50% record in Caught Stealing. He did however fail to finish in the top five in Assists, Putouts and Range Factor per Game. 30 Years Old, Playing for the Houston Astros. 0.0 dWAR. Greinke would not finish in the top five in Range Factor per Game but he was named a Wilson Defensive Player. He had a Fielding Percentage of .980 and a Caught Stealing record of 57%. 35 Years Old, Playing for the Arizona Diamondbacks. 0.0 dWAR. Stroman finished eighth in Cy Young voting this year and he was the leader in Assists while finishing second in Range Factor per Game. He had a .979 Fielding Percentage. 27 Years Old, Playing for the Toronto Blue Jays. This would be the third season that Zack Greinke would have a 0.0 dWAR.perfect Fielding Percentage, which was complimented by a second place finish in Range Factor per Game. His Caught Stealing Percentage was an excellent 64. 35 Years Old, Playing for the Arizona Diamondbacks. 0.0 dWAR. Kuechel had a perfect Fielding Percentage again with a second place in both Range Factor per Game in Putouts. 30 Years Old, Playing for the Houston Astros. 0.0 dWAR. Grienke would go back-to-back in terms of a perfect Fielding Percentage and he would also lead all of the National League Pitchers in Putouts and Range Factor per Game. Throw in a 71% in Caught Stealing and you are talking about an extraordinary defensive year! 35 Years Old, Playing for the Arizona Diamondbacks. We have to be honest, as when we started this we never would have thought that the most successful Gold Glove position to enter the Baseball Hall of Fame would be the Pitcher! We do however think that this could change with increased sabremetrics in the future! Honestly, we are happy to be done with the Gold Glove and since we have worked on this for so long, we want leave Baseball for a while. Up next we are going to the hard court and look at the NBA with a relatively new Award, the Most Improved Player of the Year. 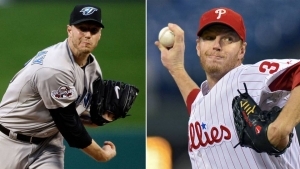 The Baseball Hall of Fame Class of 2019 is Announced!